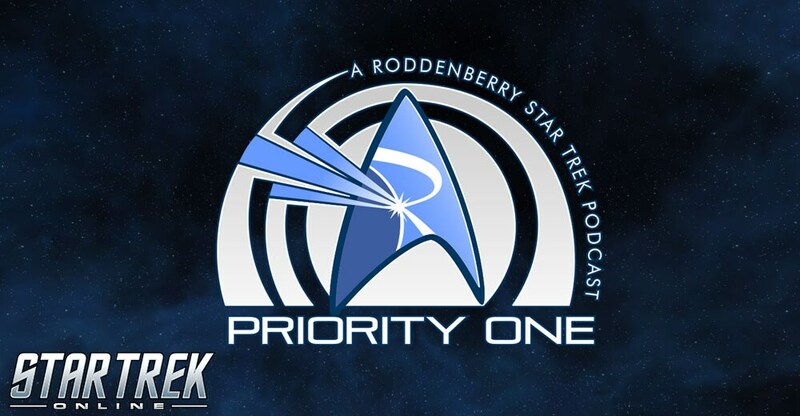 The folks at Priority One: A Roddenberry Network Podcast have been one of the best Star Trek podcasts of the last decade, not to mention one of the best to cover Star Trek Online. Now they've reached a huge milestone, episode 400, and to celebrate, they came to Cryptic Studios and interviewed almost every member of the Star Trek Online development team. It's a massive, two part episode, and you can listen to it below for some answers to your questions, suprises, secrets, and insights into the development of this game. Thanks for coming by, P1, and congratulations on 400 episodes! "This is a very special 400th episode of Priority One, so things are going to be a little different. We’re skipping Trek It Out this week to make way for all the other AWESOME content that we have to share. To celebrate our 400th, we spent the day at Cryptic Studios in Los Gatos, California, talking to the development team behind Star Trek Online. We’ve got some great interviews with content designers, artists and producers, including an EXCLUSIVE announcement about new content you’ll be seeing in game soon. We also sat down with GamePrint, the company that lets you 3D print your own ship from Star Trek Online. But first, we’re tackling the latest episode of Star Trek: Discovery in our On Screen segment. We’ll be exploring life and death in “An Obol for Charon”. "This episode is filled with another set of interviews from our trip to Cryptic Studios! We’re talking to artists, animators, and system designers…But, before we jump in to that, we Trek Out news that Nickelodeon is getting a Star Trek animated series for kids, CBS shares some numbers about All Access, and – thanks to you – we hit our fundraising goals! Later, in On Screen, we cross the mycelial network in Season 2 Episode 5 of Star Trek: Discovery, “Saints of Imperfection”.